CDE was called on for the installation of an earth retention system to allow the construction of a two-story below grade parking garage to serve as the foundation for a new high-rise student housing facility. 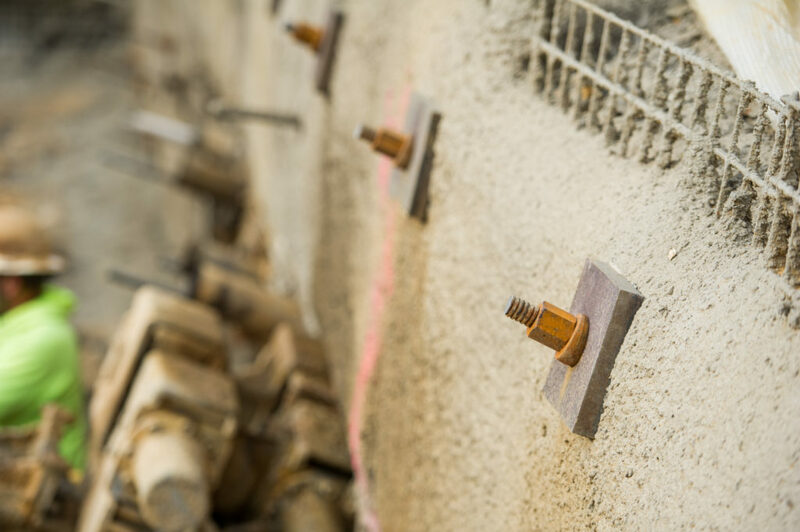 To meet the requirements of the project, the design required a temporary soil nail and shotcrete wall. Due to space constraints, developers prefer vertical expansion of their properties which leads to the necessitation of a deeper excavation. In support of said excavation, a temporary soil nail and shotcrete wall was required. 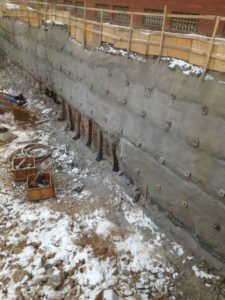 The challenge was to construct a large temporary soil nail and shotcrete wall within a limited footprint. Additionally, the logistics of the site were constantly changing due to ongoing site excavation. 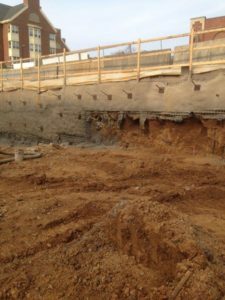 Due to the inherent size of the mass excavation, the project called for the installation of over 16,000 sqft of temporary shoring. 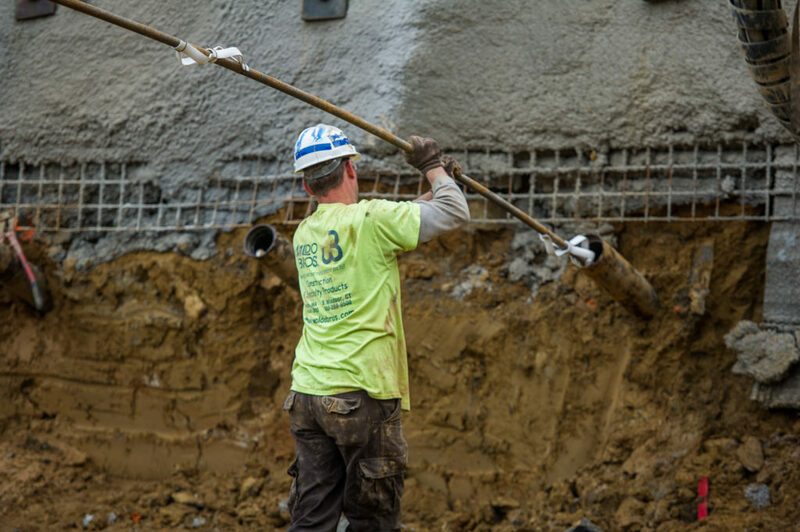 This shoring system consisted of over 720 soil nails and 10,000 cu ft. of shotcrete. The nails were installed in various geological formations consisting of overburden, broken and weathered rock, and bedrock. 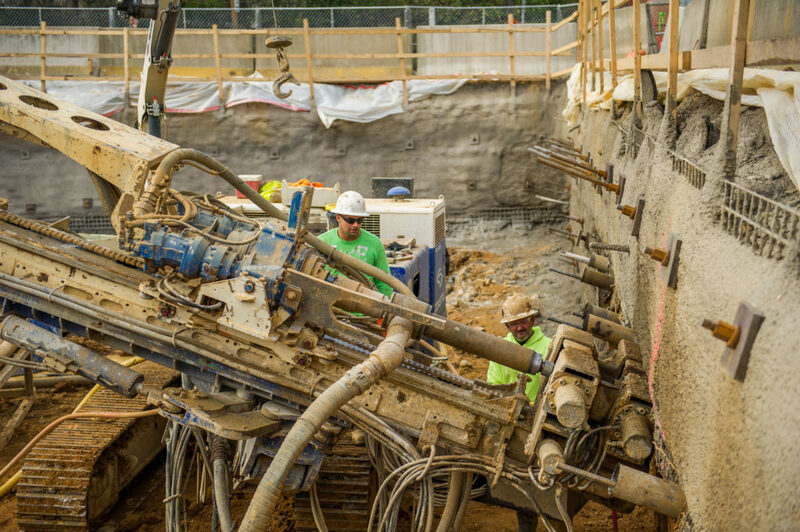 To accommodate this change in subsurface materials, multiple drilling techniques were utilized to maintain project schedule. The nails were grouted using a high strength grout mix. 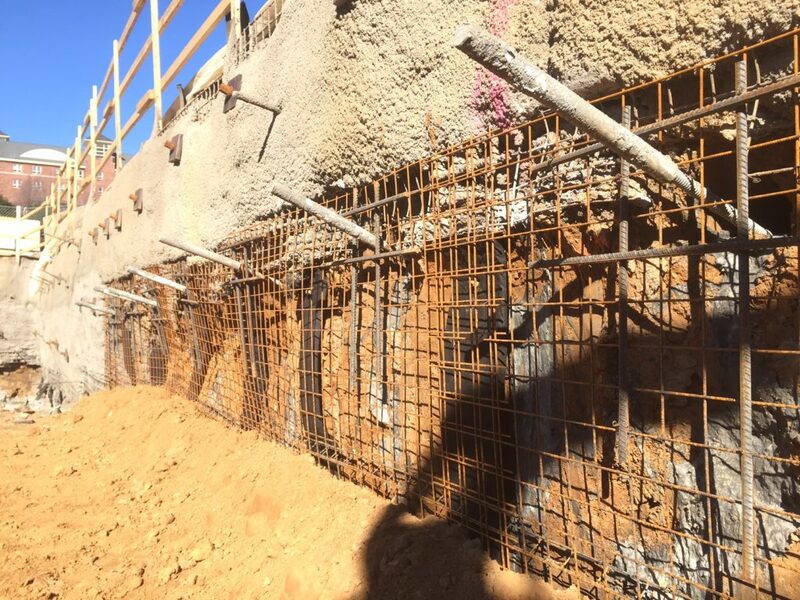 The shotcrete reinforcement consisted of woven wire mesh and vertical and horizontal rebar placed in accordance with project documents. 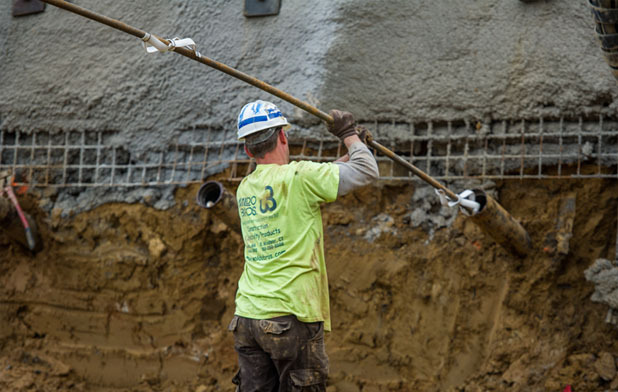 Given the karst conditions, shotcrete was placed in multiple lifts to help stabilize the in situ material. After evening out the excavation face, the shotcrete was used as a back form for the permanent concrete foundation walls. 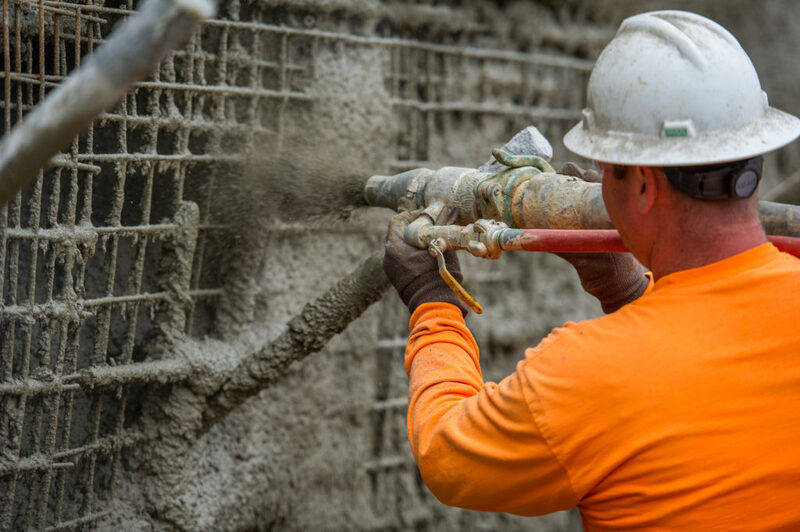 Additionally, to ensure quality standards, weekly shotcrete test panels were constructed for analysis by a third party inspection service.